As of 2016 Dr Hezel-Barnett Cohen has moved to our sister practice Concept Dental to complete his studies in prosthodontic dentistry. 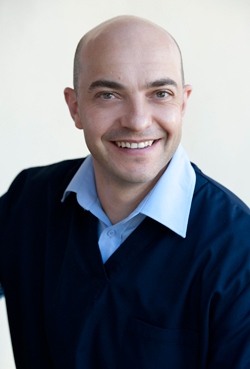 Hailing from South Africa, Dr. Hezel-Barnett Cohen enjoys providing excellent dental care to his patients. Hezel has pursued continuing education in dentistry. He is busy with a M.Clin.Dent (a 4-year program) on fixed and removable prosthodontics through King’s College in London. He also attended a Southern implant surgical course in South Africa, an All-on-4 Implant course through Dr. Mishag Habibi, and is keeping up to date with CPD requirements through numerous courses. For Hezel, the most fulfilling part of being a dentist is that the change you bring on is immediate. For instance, if there is a cavity in a tooth, you prepare and fill it, thus restoring the tooth to its appropriate anatomy, function and aesthetics. The same goes for constructing and inserting dentures. The effect is immediate, and the response from patients is always something that he looks forward to. When he’s out of the office, Hezel enjoys spending time with his wife. He also loves running and has competed in six ultra-marathons. The longest one was 100 km. Hezel also considers reading and photography to be great passions of his.